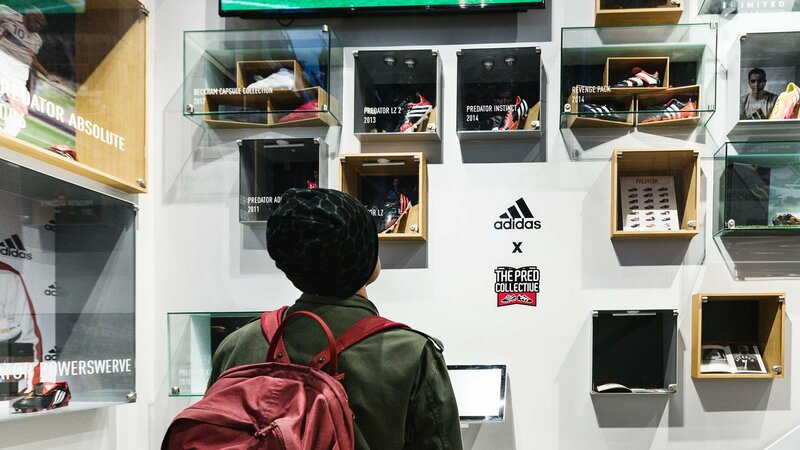 The adidas Predator is back, and it has taken over the World's Best Football Store in style. Come check out the new boot or all the other classic Predator's in our adidas Predator exhibition. Finally, one of the most iconic boots of all time is back. An innovative and modern take on the classic Predator silo, the new model is called adidas Predator 18+ and will with immediate effect replace the ACE 17+ PureControl in all adidas launches. The original Predator was first launched back in 1994 and worn throughout the 90’s and 00’s, it was stars like David Beckham, Zinedine Zidane and Del Piero, who created history wearing the ultra popular boots. The adidas Predator 18+ has already been welcomed by the likes of Paul Pogba, Mesut Özil and Dele Alli and many more of the world's best playmakers. So what's the fuzz about? If you find yourself in Copenhagen, come check it out for yourself. We've welcomed the Predator 18+ to our Initiative Zone and got everything you need to get properly acquainted with the boot that is tailor made to fit the needs of every trequartista. We've also created a stunning exhibition of the Predator universe including the original models worn by the stars of the 90's and 00's. So come by, explore both the old and new adidas Predator and everything else our fantastic store has to offer. See you in Copenhagen!